Ronald McDonald House BC is a home away from home for families and their seriously ill children who are receiving treatment at BC Children’s Hospital. 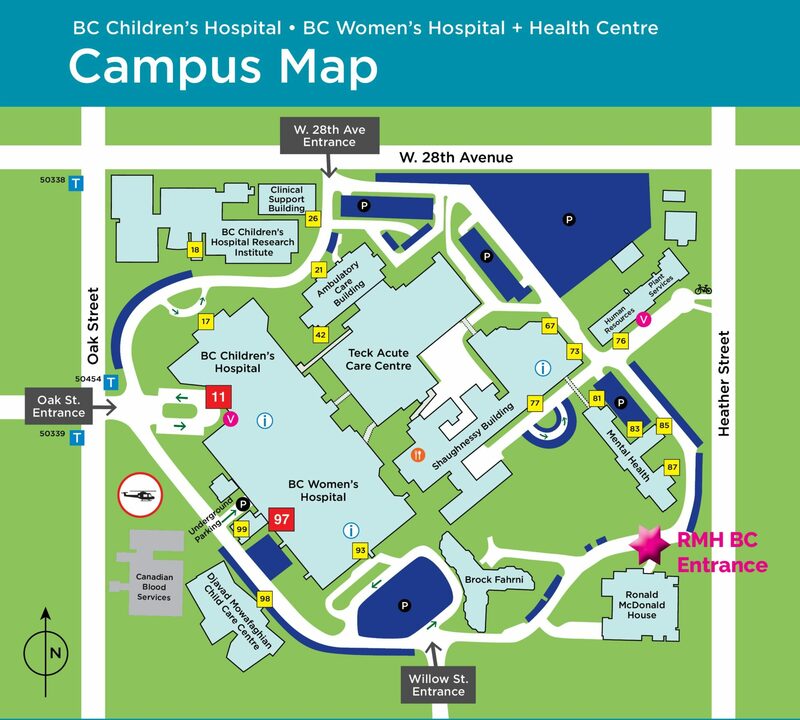 We are conveniently located on the hospital campus at 4567 Heather Street in Vancouver. For parents, staying at the House eases the financial burden when they must leave their homes, jobs, and communities to care for their sick child in Vancouver, and offers emotional support from other families experiencing similar situations. For kids, the House is a place to play, to make friends and to experience the magic of childhood, even as they fight a serious illness. More than just a place to stay, Ronald McDonald House BC helps families heal better, together. Ronald McDonald House BC is located in Vancouver at 4567 Heather Street (Heather and 31st Ave). The House is situated on the campus of BC Children’s Hospital and BC Women’s Hospital + Health Centre. Our front entrance opens onto Ring Road on the hospital property. Ronald McDonald House BC wants to create a home away from home where your family can stay together and heal together. Upon your arrival, you will be welcomed by one of our Family Services Coordinators or another staff member who will guide and support you through your transition. Each room has storage, linens, and towels to ensure your stay is comfortable with access to your own in-kitchen storage areas for food in the fridge, freezers, and kitchen cabinets. Check-In: Any time after 4:00 PM. On a regularly scheduled basis (usually 4 times a week), organizations or volunteer groups come into the House and prepare a home-cooked meal for our families. These dinners offer families a much-needed break and a home-cooked meal when they arrive home from a long day at the hospital. A variety of activities are offered on a regular basis at the House and may include from crafts, games, entertainment, yoga and music programs. Thanks to many generous donors, tickets to a wide range of events and activities around Vancouver may be available. Are parents/legal guardians of a child under the age of 19 receiving medical care for a life-threatening illness at BC Children’s Hospital, Sunnyhill Health Centre, or another local medical facility. Siblings and family members are welcome to come with the parents of the ill child and can stay in the one bedroom per family. Parent supervision of all children under the age of 19 years is required at all times. Anyone suffering from, or who has recently been exposed to, a communicable illness, including a cold or the flu, cannot be admitted in order to minimize the risk to children with weakened immune systems who are staying in the House. The BC Family Residence Program (BCFRP) is administered by Variety – The Children’s Charity of British Columbia, and provides universal funding for eligible families whose child, including premature babies and newborns with other health concerns, is receiving care at BC Children’s Hospital or Sunnyhill Health Centre for Children in Vancouver. 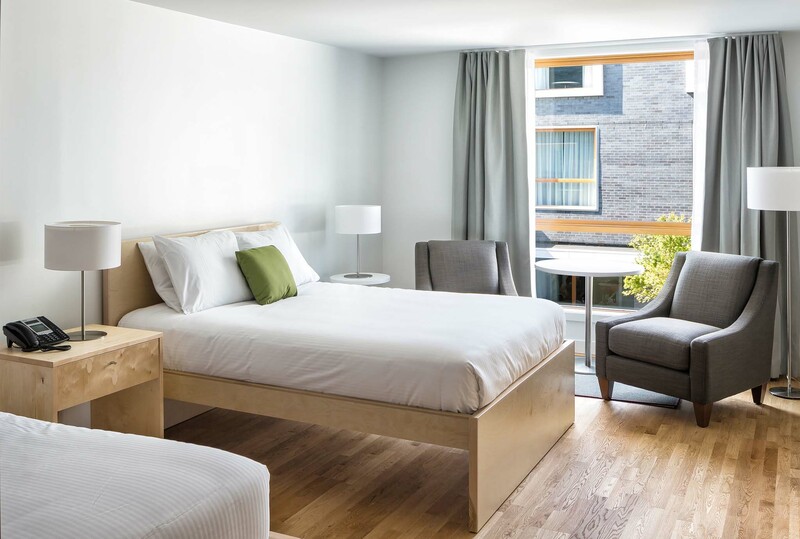 Accommodation assistance is available for one room per family for up to 30 days per stay. If you are eligible, you can book accommodation at Ronald McDonald House BC through the BCFRP by calling 1-866-496-6946. Families can check availability at Ronald McDonald House BC by calling us at 604-736-2957. Some families may qualify for funding through the BC Family Residence Program. If you are eligible accommodation at Ronald McDonald House BC will be booked on your behalf through the BCFRP by calling 1-866-496-6946. If you do not qualify for BCFRP, call Ronald McDonald House at 604-736-2957 to book your accommodation. Our fees are $12 per night, per family. For more info about the BC Family Residence Program visit the website. Sign up below to get information from Ronald McDonald House BC straight to your inbox. We’ll e-mail you every so often with inspiring stories, information about our mission and programs, and ways to get involved with the RMHBC community.